This is a fuller version of a piece I wrote for a Royal Caribbean advertorial in Metro newspaper, UK. 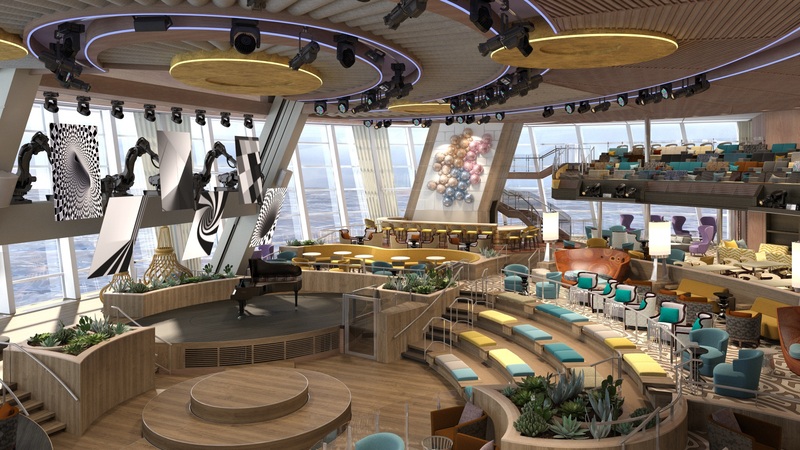 If you think the height of excitement on a cruise ship is a game of shuffleboard, you’ll be blown away by the innovations on Anthem Of The Seas – based in Southampton next year – and its sister ship Quantum Of The Seas, being launched next month. I visited the German shipyard where Anthem is being built and Quantum is having its finishing touches before it heads to Southampton for a two-day maiden voyage. 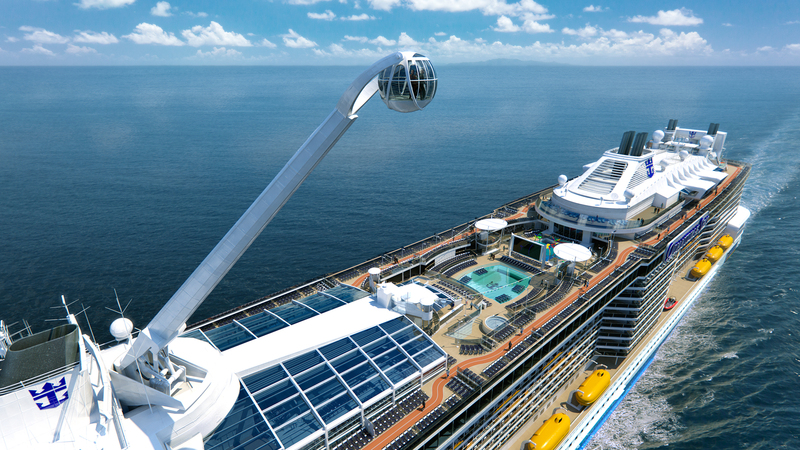 1) North Star: This pod on the end of a 135ft arm will carry up to 15 guests at a time over the side of the ship, giving a view 300ft above the waves. It sits by the FlowRider surf machine. 2) Skydiving: Experience the feeling of freefall in RipCord by iFly where you rise and fall on a cushion of air. 3) Dodgems: Another first for fun at sea. I tried out one of the cars and it brought back memories of seasides and funfairs. 4) Two70: This three-storey room brings entertainment to a new level. During the day guests get a 270-degree view of the sea but at night 18 projectors create a 100ft by 20ft backdrop while six ‘Roboscreens’ – computer-controlled TVs – perform a visual display. 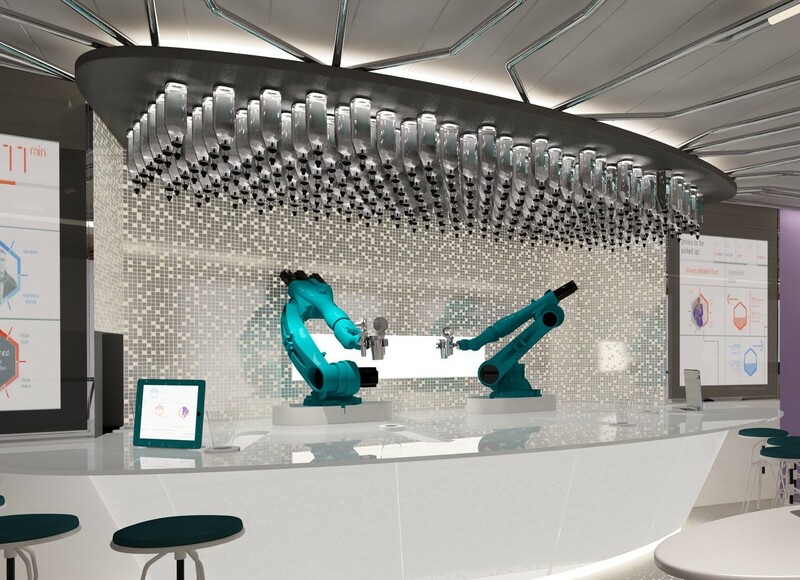 5) Robot bar staff: In the Bionic Bar you can place an order by tablet computer then watch two robots mix, shake and deliver your cocktail. 6) Virtual balconies: Got an inside room? 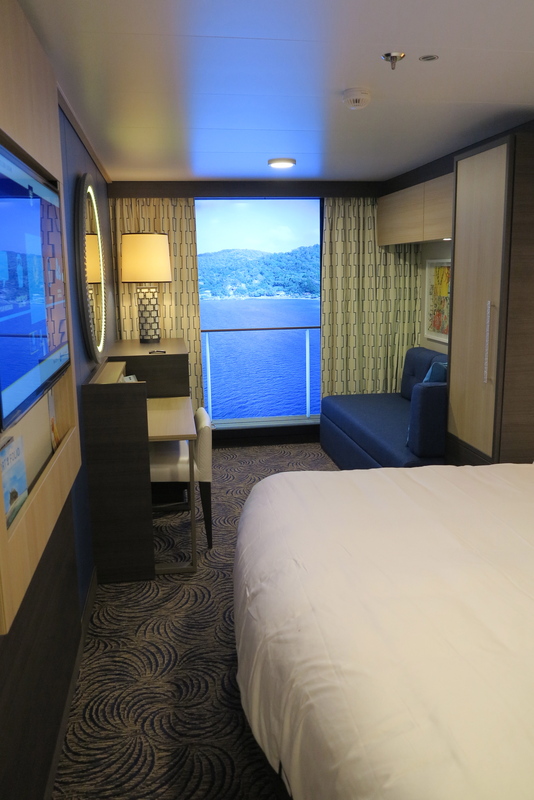 Don’t worry, you still get a sea view thanks to an 80in LED screen that projects the vista outside. 7) Broadband: Mid-orbit satellites will provide fast broadband connections, allowing guests to watch streaming movies or video chat. 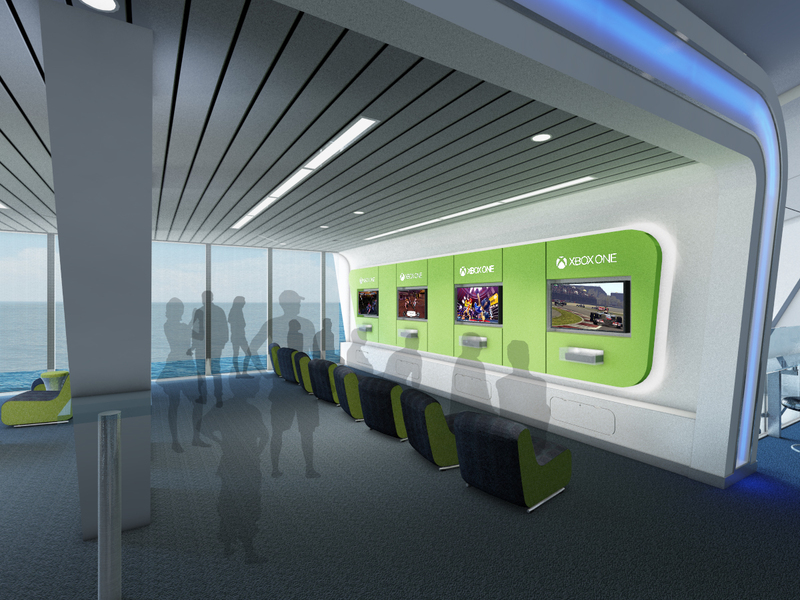 In the SeaPlex centre, gamers will be able to play Xbox Live against friends on land. 8) Entertainment: Quantum will boast the Mamma Mia! show while Anthem will stage the Queen musical We Will Rock You. 9) Restaurants: Among the 18 restaurants and 14 bars I’m especially keen to try Jamie’s Italian – Jamie Oliver’s first restaurant at sea. 10) Fast check-in: Hate milling around at airports? 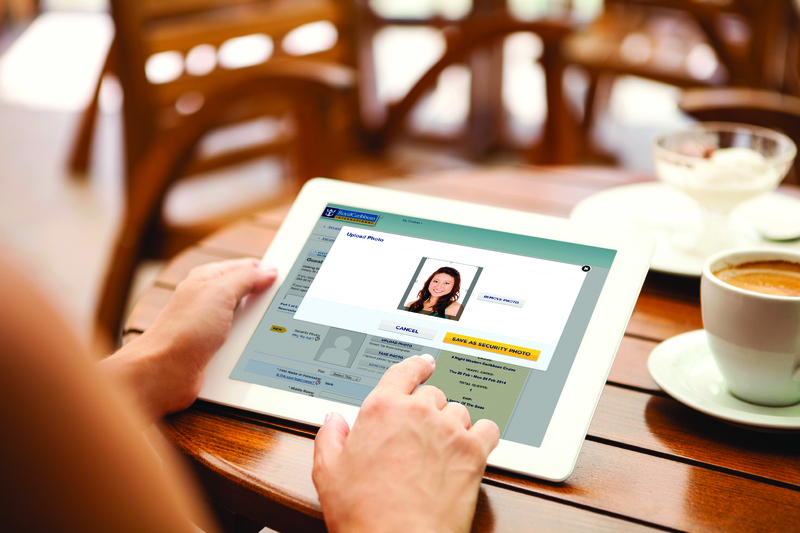 Royal Caribbean says you will be able to board Quantum and Anthem in ten minutes by uploading your security photo and other information before you arrive at the terminal. 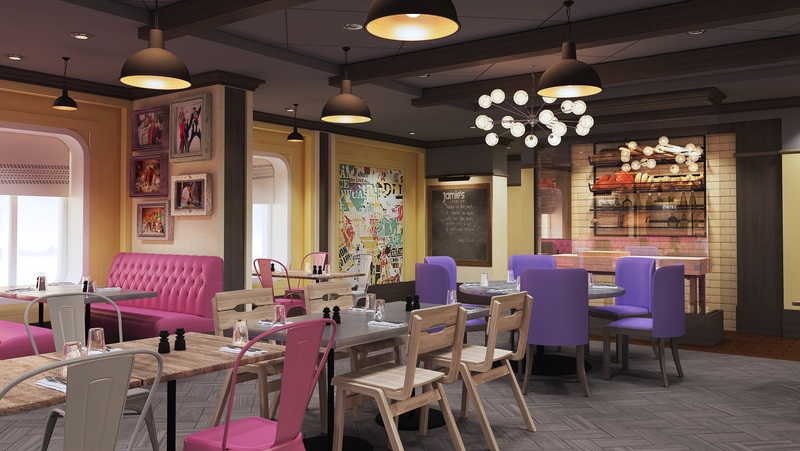 This entry was posted in New ships, News, Opinion, Ten things and tagged barmen, bartenders, bionic bar, bumper cars, dodgems, featured, ifly, Jamie Oliver, Jamie's Italian, led, mamma mia, North Star, Quantum of the Seas, ripcord, RoboScreens, robots, Royal Caribbean, SeaPlex, skydiving, Two70, virtual balcony, we will rock you, wow, xbox. Bookmark the permalink.